Whether you’re an armoire aficionado or simply an admirer of antiques, then chances are you may have looked into buying some pieces at auction or online, alternatively you or a relative may be moving house and need to transport some family artefacts. Giving the responsibility of handling your heirlooms over to a stranger can make finding vintage transportation companies somewhat stressful. Unless your plan is to further distress your dresser then you’ll need to make some adequate preparation before shipping vintage goods. Obviously, the type of antique goods you plan to transport will dictate what type of packaging it will require, but there are a few general rules to abide by whatever you’re moving. Get a valuation: Whether you’re transporting a valuable vintage vase or retro recliner you should find out how much it’s worth. This is important because you need to know whether or not it will be covered by the antique shipping driver’s insurance. Give your goods the once over: Make sure you check the condition of your items before they’re packaged up (if buying on eBay get good descriptions/pictures from the seller). Take pictures and make notes of the condition of the goods as this will help you notice whether or not any damage is incurred when it’s transported. Furniture: Packing vintage furniture if relatively simple, the only caveat being that often it can’t be taken apart as readily as modern pieces. Make sure you protect it with bubble wrap or polystyrene, especially the corners. Antiques: Should be packed as separately and tightly as possible, the more you can limit their movement, the less likely they are to be damaged. When handling glassware or other delicate items it can be a good idea to wear gloves to avoid marking the surface. Paintings: Artwork varies, as do the ways in which it should be transported. Rolling up most vintage paintings is usually a no-no: make sure you read our article on fine art transport if you need to transport paintings. Above all you should emphasise care when transporting any vintage items, after all, your grandfather clock didn’t get to be so old being chucked around the back of a van! 2.How Do I Choose the Right Transporter? Handing over your treasured items to a antique shipping courier can be a daunting prospect, so making sure that you hire a delivery driver that will handle your goods with care is imperative. When picking a vintage transportation company you should look out for a few things. Expertise: You’re not shipping bags of sand so you don’t want your items treated thus. So it will benefit you and your fragile items to hire a delivery driver that is well versed in transporting similar items, be it art, pottery or classical furniture. Insurance cover: Any standard courier should be covered by goods-in-transit insurance, which covers their contents up to a value of £10,000. This is sufficient to cover most moves, however, specialist and antique shipping firms can well exceed this, which is why you should consider paying the extra premium for more extensive cover. Extra service: If you’re not confident in preparing your items for transit then it may well be worth hiring a courier service that offers a packaging option. With a complete service, the packing and unpacking of your vintage gifts can be left to the transporting company, which can be beneficial from an insurance standpoint. Convenience: Ideally you’d employ a delivery service that is already making a similar journey – which can save you money over hiring a courier especially. If an antiques transporter has spare capacity then you may be able to fill up the extra space. Alternatively: The other option of course is transporting your items yourself, which can be no problem if shipping small antiques but is going to be more hassle if moving furniture. 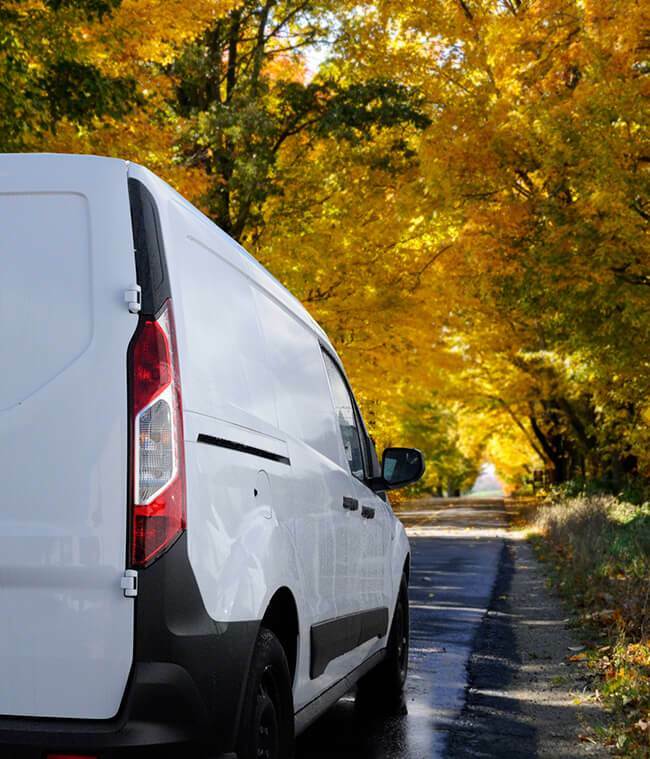 The option is there to hire a van, but it often isn’t worth the cost. Finding a specialist vintage goods transporter can be difficult and also take a long time, especially if you intend to compare prices. If you’re not too picky then you could use any old courier, but to guarantee the best service we’d recommend you take some time to research relevant firms. Shiply can make it easier to find antiques delivery companies. When you list your transport needs on Shiply our network of transporters will be able to offer you quotes for completing the delivery. You can then compare quoting services on price as well as reviews from other users. Then you need only find the transporter who suits you best and accept their offer. When your goods arrive, make sure that you check the packaging to ensure there are no obvious signs of damage. You will have to wait until they are unboxed to truly recognise minor damage though. If the movers are helping you unpack make sure they know where things are going and if moving larger items ensure that you have cleared a path to their destination. Once your valuables are safely delivered we’d love it if you could leave a review for the transporter on Shiply, this will help all of our future users when looking for reliable antique couriers.